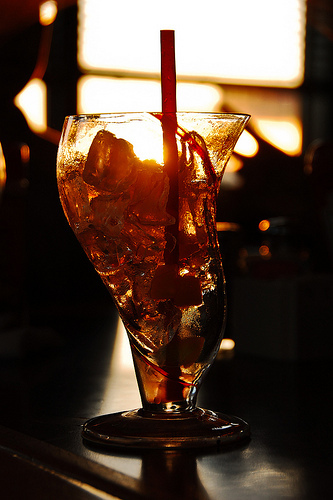 Soda is included many people's favorite drink because it tastes sweet and fresh sensation. However, do not think of soda as a healthy drink that is beneficial for your health in any sense. Various studies have shown the impact of a bad affects of soda on humans. Now the question arises, Why do we need to say no to soda? - It contains nutrients said Keri Gans M, nutrition consultant and spokesperson for the American Dietetic Association, soda does not contain any nutrients except sugar and calories. In fact, diet soda also does not provide positive benefits to the body. To quench your thirst, you may prefer water because it can merely hydrates body without adding calories. - Causes of obesity and diabetes Soda contains high fructose corn syrup, a sweetener that is associated with the occurrence of excess body weight. Ability to consume soda also increases the risk of type 2 diabetes. It happened because of the sugar content in soda and its effect on the body's hormones. Research also shows, such as artificial sweeteners used in soda can increase appetite. - Destructive teeth As we sipped the soda, the sugar content in it will coat the teeth along with the bacteria in the mouth which then would form the acid. Both regular soda and diet soda also contains carbolic acid that will damage the tooth enamel, causing cavities and tooth loss. - Debilitating bone Most sodas contain phosphorus and caffeine. Both are believed to contribute to the occurrence of osteoporosis, bone fragility alias. Mixing soda in milk or other beverages can also reduce bone calcium. - Destructive organs Research shows that soda consumption habits associated with chronic kidney disease, metabolic syndrome, and fatty liver. After reading this a few of my friends have personally stopped drinking soda, so have you stopped and ready to Say No to Soda? Write your comments below and share it on your social network to get your friends thinking about this article.